Brad Stringer grew up in a small eastern Texas town. 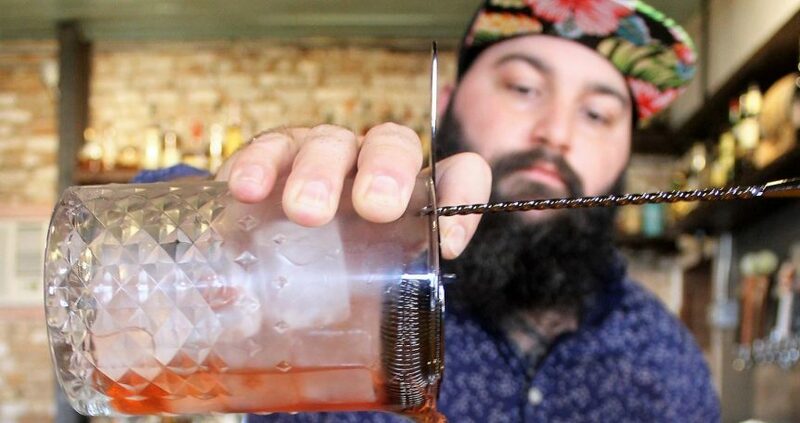 He moved to Houston to began his bartending career and to carry on the family legacy in the industry (his family owned a liquor store). 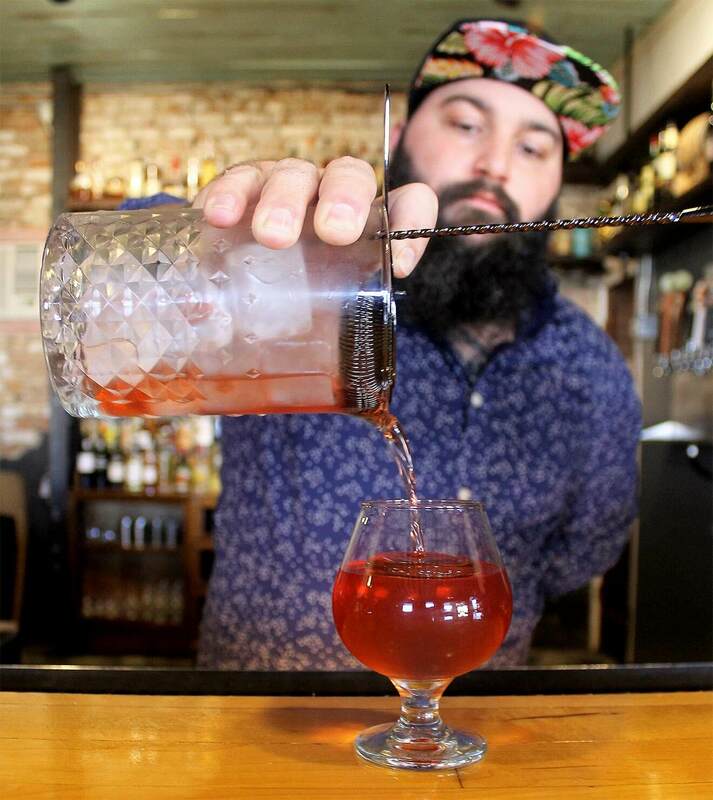 From there, Brad moved to Galveston, to open Daiquiri Time Out (DTO) with business partner Ian Ramirez, where they reintroduced craft cocktails to the island in the West Market District. At DTO, Brad curates an extensive cocktail program with a focus on the classics and a creative seasonal signature menu utilizing unique homemade ingredients and boutique spirits. You can find Brad behind the stick daily at Daiquiri Time Out. Here’s what he had to say about his signature seasonal menu. Tell us about the menu that you created at Daiquiri Time Out. I walk through local markets for inspiration. We have Canino’s for Latin foods, Bellaire for Asian flavors, and of course local farmers markets. Texas is a very diverse place with many cultures colliding into a fusion of flavors. People’s palates are sophisticated from traveling abroad and from dining locally at a variety of available cuisines. I take these experiences and translate them into cocktails. 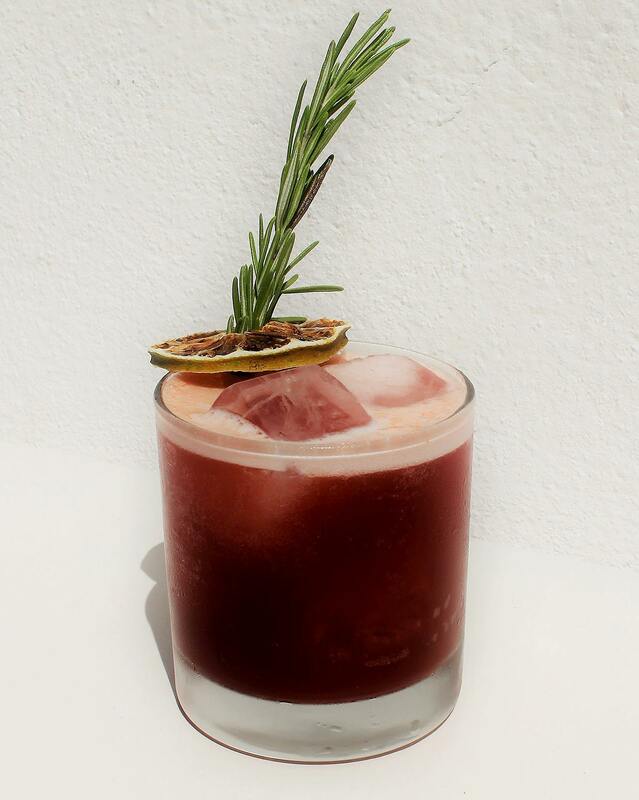 What are your go-to ingredients when creating a cocktail menu? Locally sourced ingredients are a staple on my menus. On the current one, I used kumquats from a local garden. The Littlejohn Cobbler is named after an educator from the 1920s that built the house where the trees grow. We also have a Brazilian-inspired Batida on the menu. Cachaca, the national spirit, is commonly consumed in this cocktail. 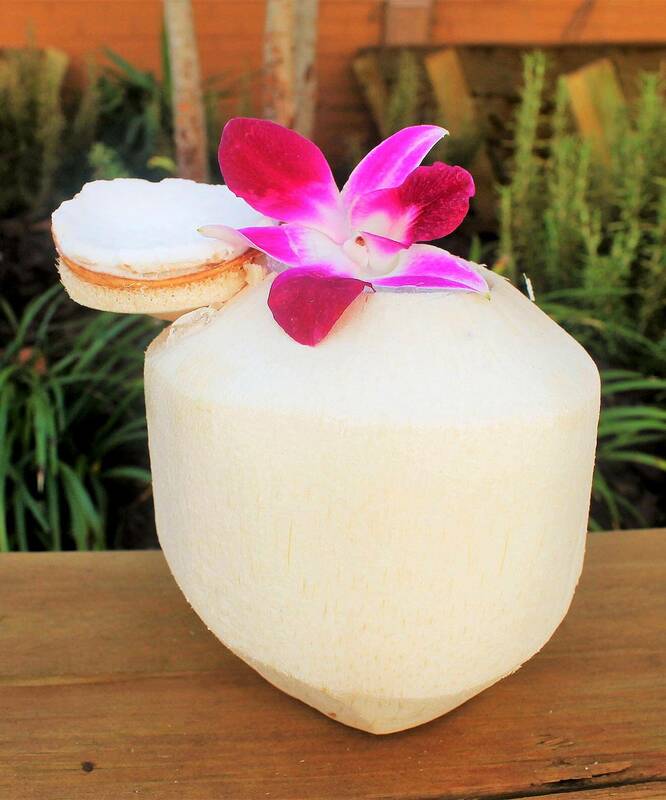 You mix it with sugar, coconut milk, and/or any local seasonal fruit that’s available. Another drink, called the Thai Bowl has a South Asian flavor profile reminiscent of curry. I used dark rum, made a turmeric and ginger syrup, and added coconut cream, a homemade lime cordial, and fresh lime juice. 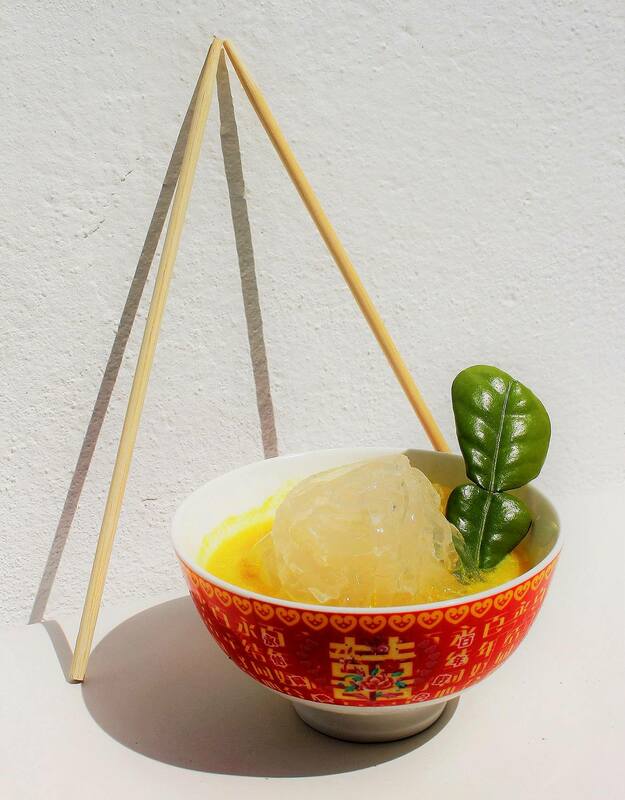 This drink is poured over coconut water noodles, creating an “edible” cocktail experience. Any advice for creating an original cocktail menu? It’s important to challenge yourself to be imaginative and resourceful when creating a new menu. Galveston Island is one of the oldest ports in America, rich in history. I spent time researching the archives at the Rosenberg Library, and I realized that cocktails have always been here in Galveston. After reintroducing classics, I moved forward with seasonally inspired menus. Look around where you live, ask questions, and don’t be afraid to experiment. 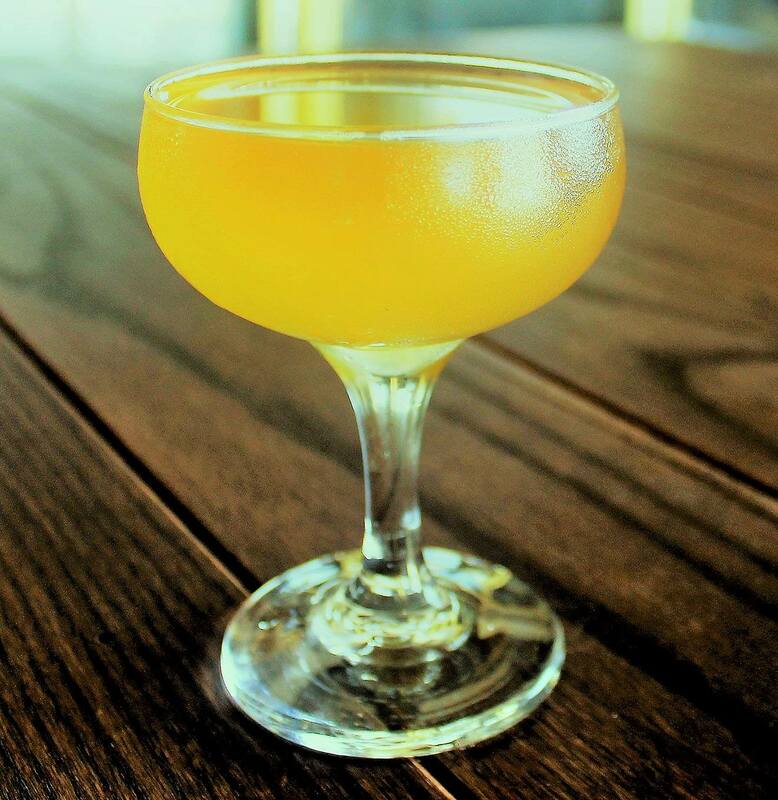 Check out some of the cocktails on the menu at Daiquiri Time Out. Preparation: Shake, strain in a Collins glass. 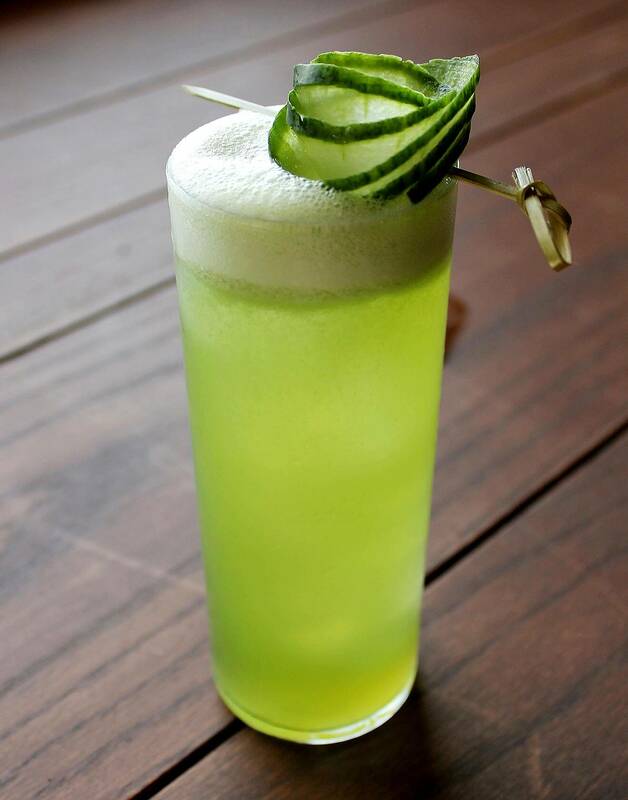 Garnish with cucumber flower. Preparation: Shake, strain over rocks in julep mug, top crushed ice cone. 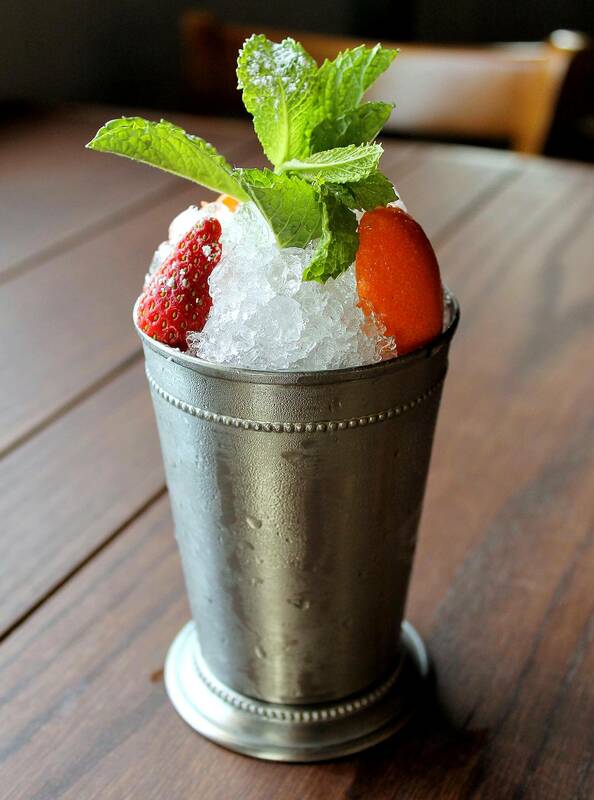 Garnish with mint sprig, strawberry, kumquat, top powdered sugar. Preparation: Shake, dirty dump into coconut. Garnish with orchid. Preparation: Stir, strain into chilled coupe. No garnish. Preparation: Top with bottled cocktail. Garnish Kaffir lime leaf and chopsticks. Preparation: Shake, double strain over fresh rocks in rocks glass. Garnish dehydrated lime wheel and half sprig rosemary.